Former La Salle teammates Jeron Teng, Norbert Torres, and Thomas Torres sustained stab wounds from a parking lot assault on Saturday in Bonifacio Global City, the police confirmed. The Alaska Aces rookie was reportedly struck at the back, while the Rain or Shine Elasto Painters center and MPBL player for Mandaluyong El Tigre got hit in the arm. All of them are currently recuperating and under supervision at St. Luke's Medical Center. According to sources, CCTV footage helped in identifying the perpetrators, namely Edmar Manalo and Randy Casila, with the former having already been apprehended. They allegedly taunted the trio, which led to the altercation around 2:30 a.m. outside the Early Night Bar. 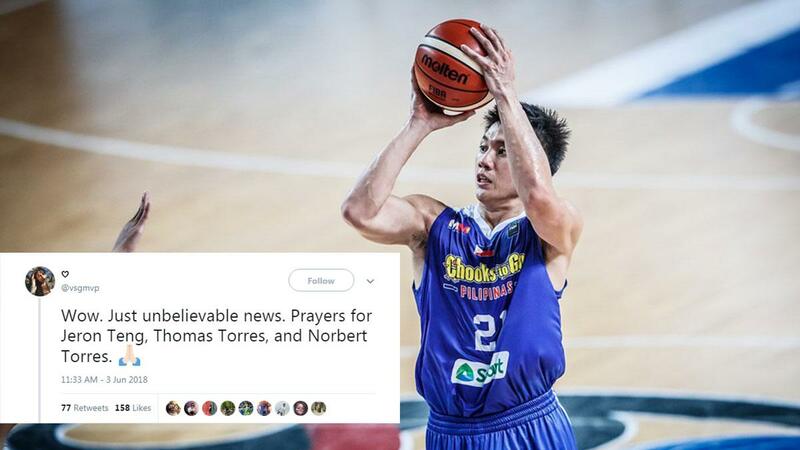 Their respective families have yet to give an update on Thomas, Norbert, and Jeron's condition, but that didn't stop netizens from extending their "Get well soon wishes" to the ex-DLSU players. What is happening to PBA players?